I doubt this is the first time I’ve made this confession on my blog. I am not a chocoholic. I like, but am nowhere close to loving, chocolate. 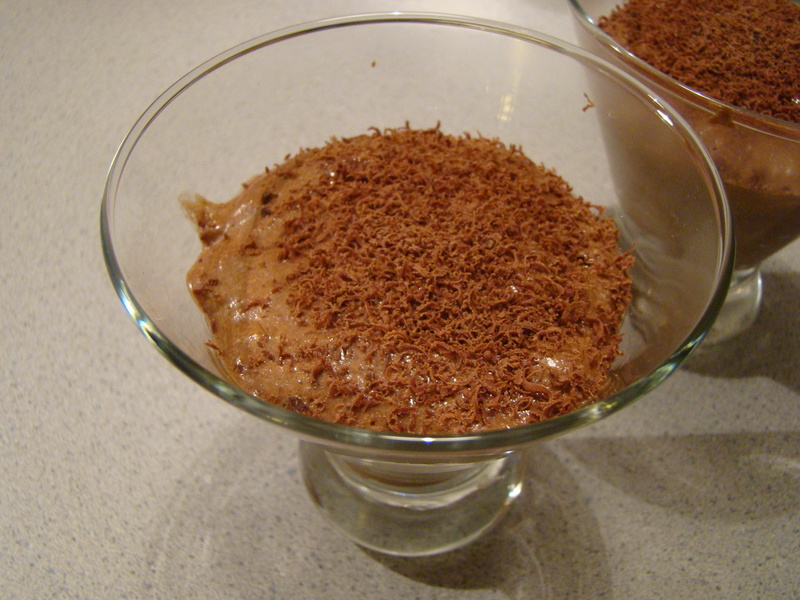 For French Fridays with Dorie, this week’s recipe was Top-Secret Chocolate Mousse. This was bound to make Howard, the resident chocolate fiend, happy. Plus, I don’t think I’ve ever made mousse before, or at least not in many years, so I welcomed a new challenge. This recipe couldn’t have been easier, so no wonder it’s a go-to recipe in French homes. You melt the chocolate, you whisk in egg yolks, you beat egg whites with a tiny bit of sugar, and you fold that into the chocolate. Voila! A 4-ounce chocolate bar is just the amount for the recipe plus one square leftover to grate on top plus have a mini-snack. And, because we get super-fresh eggs from a neighbor down the street, the barely warmed eggs didn’t concern me. I took Dorie’s tip and served the mousse in (stemless) martini glasses. As promised, they looked cute. The recipe got the Howard seal of approval. I liked that the mousse was light and not overly chocolate-y. 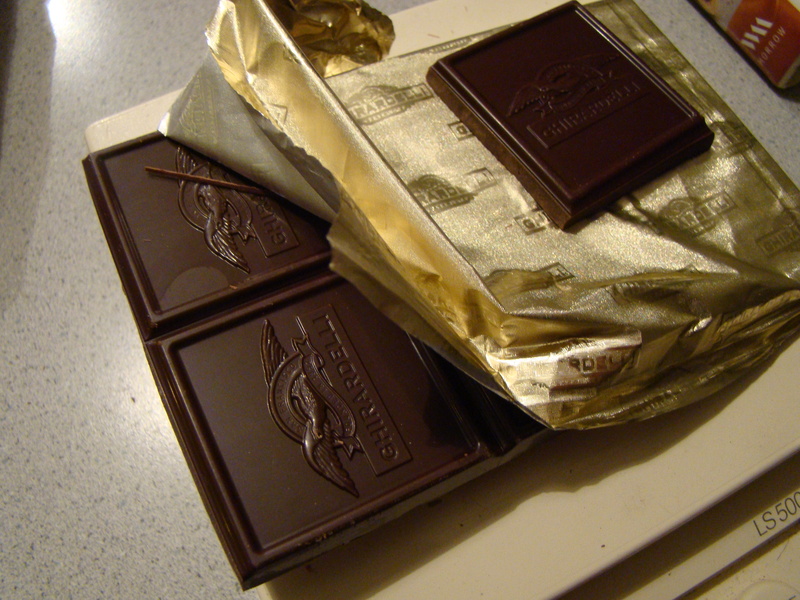 I opted for 62% dark chocolate, but I think it could have handled the 70% dark bar that I left on the shelf. Next time. This would be a great dessert to whip up for company. Not too much effort, but elegant taste that anyone would enjoy. I’m looking forward to next week’s goat cheese mini puffs, much more up my alley. We don’t post the recipes, but consider getting your own copy of the book, Dorie Greenspan’s book Around My French Table. I’m off to enjoy a weekend on Cape Cod with college friends, so won’t get a chance to catch up on the other Dorista’s posts until after the weekend. If you want to check them out, follow their links here to read all about it.